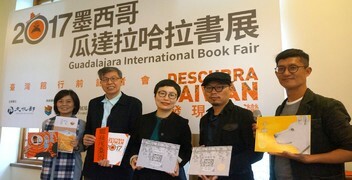 The Taiwan Pavilion at the 2017 Guadalajara International Book Fair (FIL) is set to be themed Descubra Taiwán (Discover Taiwan), and will bring a diverse collection of 451 original children’s and illustrated books—along with the creative duo Jian-xin Zhou and Nai-wen Kuo of Missing Cat Posters fame—to Mexican readers. Organized by the Taipei Book Fair Foundation under the auspices of Taiwan’s Ministry of Culture, the pavilion is located at ii13 in the international section. Comparable in size to such publishing heavyweights as France and the U.K., this year’s pavilion is designed after famed illustrator Jimmy Liao’s Little Beauty. The robust yet refreshing yellow design will also feature elements from Zhou’s illustrations, expanding on the concepts of passion and enthusiasm. Zhou—along with other invited illustrators from Denmark, Spain, and Uruguay—is scheduled to give a talk on Nov. 27th. 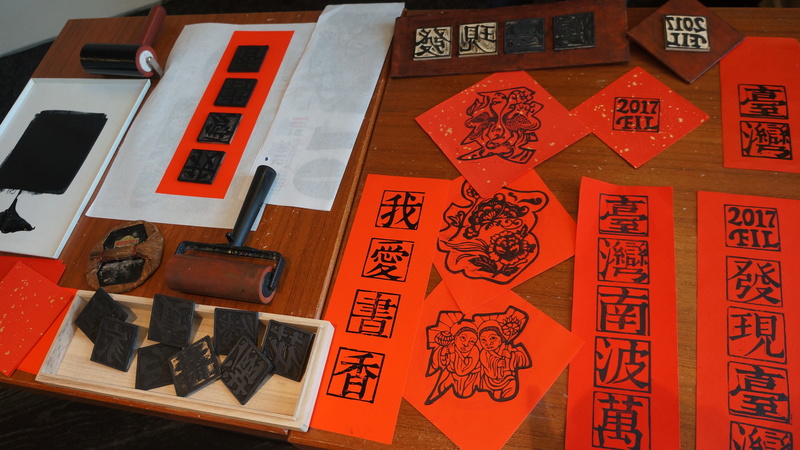 He will also host a book signing and workshop, as well as a wooden movable type event that will introduce the beauty of Chinese characters. Based in Tainan, Zhou is one of the most promising new-generation illustrators in Taiwan. Equally at ease in writing and painting, he is especially acclaimed for his printmaking artistry. He tailors materials and media to each type of story; drawn mainly from his personal life experiences and memories. Working together with his creative partner Kuo, they have produced emotionally-nuanced titles such as Missing Cat Posters and Puppy; the former of which has already sold the Spanish-language copyright. Zhou and Kuo’s collaboration also extends to the establishment of the Tainan art space Prints Garden, which has become a mecca for local art and culture connoisseurs. Riding the wave of global craze for the Chinese language, the duo will bring 50 movable type wooden blocks to Guadalajara. Zhou will also carve character blocks on-site, helping the Mexican readers experience the hands-on fun of writing in Chinese. 2017 marks the fifth consecutive year of Taiwan’s participation in the Guadalajara International Book Fair. This year, a total of 451 choice books from 12 local publishers will be presented at the show. Important events at the pavilion include an international copyright matchmaking forum slated for 11:00 a.m. on Nov. 28th, featuring publishers from Argentina, Brazil, Mexico, New Zealand, Spain, and Taiwan. The opening ceremony will take place at 12:00 p.m. on the same day. With the participation of influential publishing professionals from home and abroad, the event is expected to kick off a series of exchanges and interactions between Taiwanese and Spanish-language publishers.